Hey everyone! Today Jenni from Gold Speck Nails are halfway into our spring challenge! 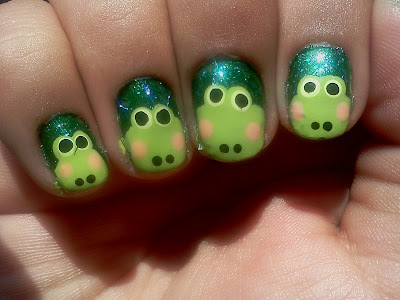 For the 6th day our theme is frogs. 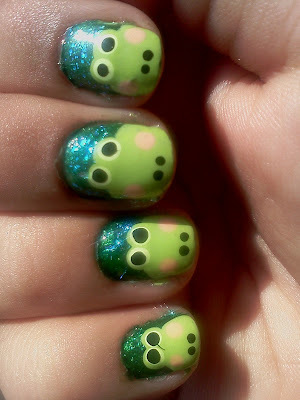 I thought this was going to be easy but frogs are really hard to do on nails. Anyways, enjoy! 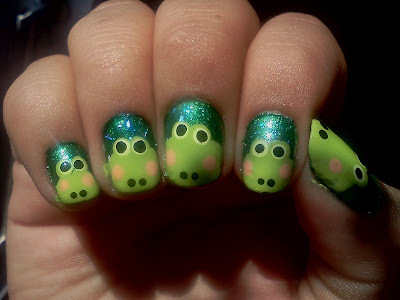 My mom said they look a little bit like hippos haha. They totally look like frogs :P But you could do them in grey sometime for hippos :D They're awesome.